Agilent Technologies achieved a record as the largest initial public offering (IPO), in 1999, in the region of Silicon Valley. They are a global company engaged in designing and manufacturing bio-analytical and electronic measurement instruments. They were established in 1939. 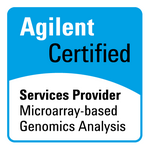 The company even has an in-depth development and research wing of Agilent Labs. They perform innumerable active researches in various areas of nanotechnology, MEMS and even life sciences. In 2011, they announced establishing Davis Millimeter Wave Research Center, by entering into a partnership with the University of California. They even announced to increase rate of their engagement in life science researches by acquisition of Halo Genomics. Corporate office of Agilent Technologies, Inc is located in Santa Clara, CA. There are currently 0 consumer reviews about Agilent Technologies, Inc available. Share your review. Please take a note that you are about to post a public review about Agilent Technologies, Inc corporate office on CorporateOffice.com. This review will be public, so please do not post any of your personal information on this website. If you would like to contact the corporate offices of Agilent Technologies, Inc, please use their contact information such as their phone number, website, and address listed above to contact them. However, sometimes staff from Agilent Technologies, Inc headquarters do read the reviews on this website.